Oh my. I may have a bit of a problem here. What is one to do when their contributing science sleuth is engaged in... thievery? Buffy Silverman is here with a lesson in *safe* snatching. When I speak to students about writing poetry, I share one of my favorite tricks: learning to be a word thief! (I explain the distinction between plagiarism and lifting words—I don’t encourage students to steal entire phrases or sentences!) When reading for inspiration, I keep a pad of paper near me and write down interesting words. Then I try to use those words in my own writing. My thieving is not limited to poetry--often when I’m reading a novel in bed I come across words that I think will improve a poem, article, or story that I’m working on. I jot them down on a scrap of paper, and hope that I can make sense of my notes in the morning. There are a few “word banks” that I draw on over and over. 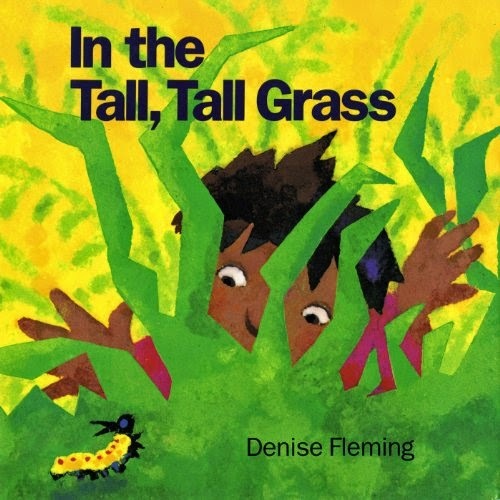 One of my favorites is In the Tall, Tall Grass by Denise Fleming. My now 23-year old daughter ordered In the Tall, Tall Grass from a Scholastic flyer when she was in kindergarten. When I first read this treasure trove, I knew that it was not going to stay on my daughter’s shelf for long (uh oh, more thieving…) Vivid verbs! Onomatopoeia! And the book features animals that are common in a child’s backyard—subjects I particularly enjoy writing about. I so admire the simplicity and brevity of this text. In the first 14 pages of this 32-page picture book I count 29 words. Eighteen of those words are verbs that portray specific actions that a reader can see and/or hear (three verbs for each of six animals.) I’ve borrowed this book’s verbs many times to describe the animals that they are paired with in this text, and to describe other animals. The sounds and specificity of these words lead me to think of other strong descriptions. They put me in a frame of mind where I’m better able to find the right words to paint my subject. 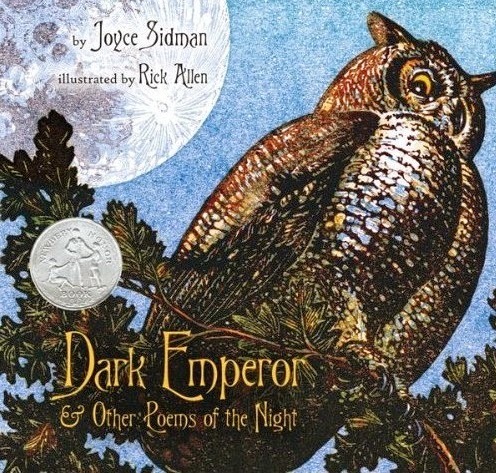 I love the way this poem introduces the creatures that are featured in the book with their actions, and how it invites the reader to use the senses to explore the night. And of course, I love the words that describe the action! When I’ve read this poem to students and asked them to pick out a favorite word, their hands fly up. What are your favorite verbs from these gems? Dip, dodge, hover, cling? Sip, hum, slip, glide? Try making a list of the verbs and nouns in these two poems, or from other favorite poems and stories. 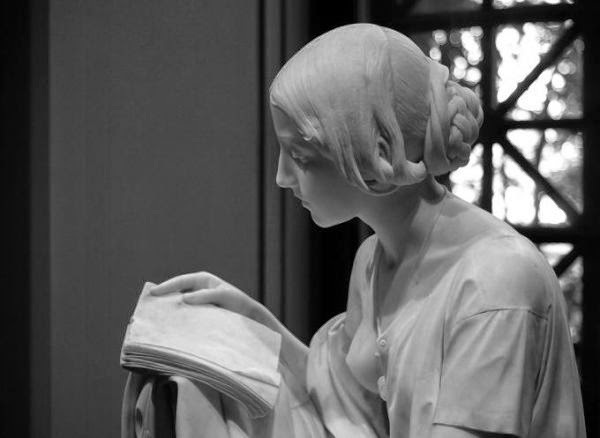 Then see where these words lead you—you’ll be using fine marble to sculpt your masterpiece! Buffy Silverman is the author of more than 60 nonfiction books for children, winning awards from Science Books and Films, the Children’s Book Committee at Bank Street College, and the Society of School Librarians International. She's also written over 100 articles, stories, and poems published in popular children's magazines, poetry anthologies, and educational resources. 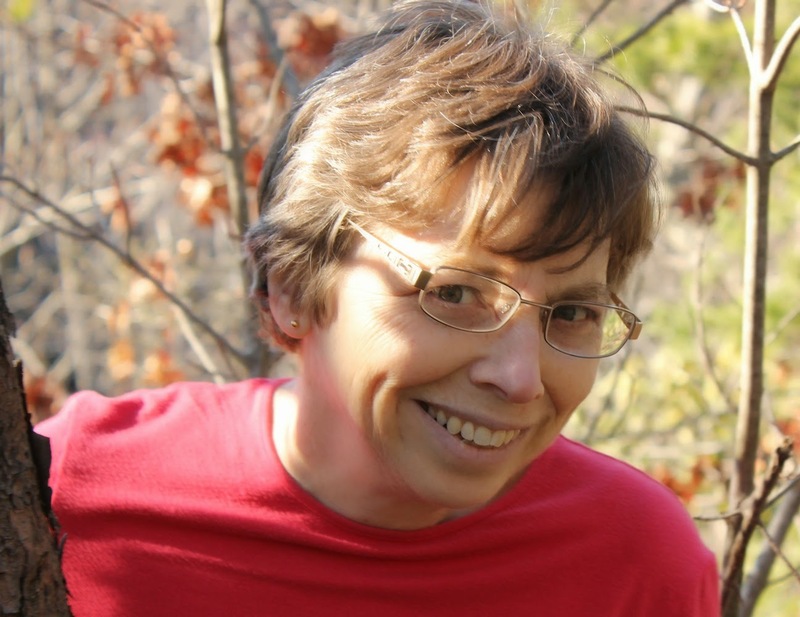 Joyce Sidman, who Buffy graciously mentions in her post today, also happens to be our spotlight author this month. Have you been pondering Joyce's deeper wisdom challenge? This week's daily ditties included poems by Sydney O'Neill, Loree Griffin Burns, and Jan Gars. Believe it or not, there's only one week left to send me yours! See you back here next Friday for the end-of-month wrap-up celebration. Tara Smith is undoubtedly wrapped up in today's Poetry Friday roundup! Please join her at A Teaching Life for a listing of this week's poetry finds. Flutter, hover, slide and glide...vivid verbs make writing come alive! Thanks for the reminder! "flutter, hover, clasp, and cling" - delicious. And Denise Fleming's book, too. At least our Buffy puts her life of crime to good use - thanks to both of you for sharing the idea of "word banks" - where deposits are made from reading good books! I, too, love that poem of Joyce's. Melding action with imagery like that makes the writing so much stronger and more vivid. Faboo post, Buffy -- with two great sample poems (you had me at crunch, munch, caterpillar's lunch). I know Joyce's book but not Denise's -- will have to look for it. Love this post, Buffy--we do kids a big favor when we let them know that all those juicy words (and even sometimes a phrase or line) are up for grabs, for them to make their own. And now, sending my thieved DMC poem "What Does the Knife Know?" to you all! This is such a great post - I love the idea of lifting/stealing words. Your examples are great - I don't own either book, but now I think I might have to purchase them. Such rich examples of word love. Brilliant. This is a post to print out and reread several times. What a fun post! I am signed up for wordsmith.org's A-Word-A-Day and I love getting those little jewels in my email. Thanks for the words from Denise Fleming and Joyce Sidman.Those are certainly words to tempt any word thief. I always encourage my students to steal a word or a line. It's so helpful to get over that fear of writing. Love these poems, so full of image and song. Terrific post. Heading to the library now! Thanks. Beautiful advice, & the examples help me see what you're doing too, Buffy. I don't remember Fleming's book, but I know the Sidman book, just wonderful. Thanks! I love both of those poems. Making a list of vivid verbs sounds like a great idea. Thanks! I had a child yesterday who assumed it was plagiarism to use an idea (your own, original idea) you got while reading a book. So, if WHEN THE RELATIVES CAME reminded you of the time your cousins visited, you couldn't write your story because it would be plagiarism. Hmm...I think we're instilling this fear much too deeply! Needless to say, I cleared that one up...FAST. Next up in my classroom, borrowing verbs! Such fabulous words! An excellent post, Buffy and Michelle. Thanks. I'm currently reading "The Writing Thief" by Ruth Culham on using mentor texts to teach writing. If you haven't seen it, it's an excellent resource, both for teachers and for writers. Heidi calls these juicy words. My son's teacher calls them million dollar words. What do you call them? interesting, vivid, steal-worthy? Heidi, can I steal your use of "juicy?" Denise Fleming's work as a writer AND illustrator is superb for use with a young audience. They always worked well for me when I did preschool story hours. "Welcome to the Night" inspires me every time I read it -- the words, the format, the mood, the rhythm. It is perfection, and a perfect poem to use for word thievery! I love this idea, Buffy, particularly because I love writing from a one-word prompt. I do that for stories all the time, but rarely for poetry for some reason. Thanks for the push to begin my life of crime! I always love advice to kids that encourages them to keep notebooks -- they needn't be full-fledged journals, just notes, notes, notes. :) Good stuff! Michelle, in one of my PD sessions this week, I spoke to the teachers about lifting lines or words to create a new thought. For me, I would like to lift, "dip and dodge on silent wing" because it is a wonderful visual for me. Thanks to you and Buffy for today's inspiration.